Although vows to carry out an 'electronic holocaust' fell flat, anti-Israel hackers did have limited success attacking smaller websites. Once again, a bombastic threat by anti-Israel hackers to take down Israel's internet has fallen flat. Last week, it was reported that the annual "#OpIsrael" by hackers claiming to be part of the "Anonymous" hacking collective failed to cause more than a few minor difficulties, despite the hackers threatening an "electronic Holocaust". However, while no real disruption was caused to any major websites, some smaller websites - mainly belonging to small businesses and charities - were indeed effected. Among the sites targeted - and still partially defaced - by hackers were the Dapei Katom and Boutique Katom websites, the former of which serves as a virtual "Yellow Pages" for small businesses in Judea and Samaria to promote economic growth in the region, and the latter of which promotes and sells art produced in Judea-Samaria. The attack appears to have been carried out by a single Sudanese national, as the two websites were defaced with a large Palestinian flag together with a message from "WD SD" claiming to be from Sudan. The sites' founder, Gedalyah Blum, noted that while the hackers failed to deliver on their threats, "smaller sites with lower levels of security" were more vulnerable to attack. But he struck a defiant tone, saying the attacks had only increased his determination. "The Jewish people, throughout history have had their lives disrupted on an ongoing basis. This has only made us stronger and given us more resolve. We will not stop building and if anything, your disruptions just feed into our ingenuity. So although we would like you to leave us alone, when you do not, we also see it as an opportunity," Blum said. 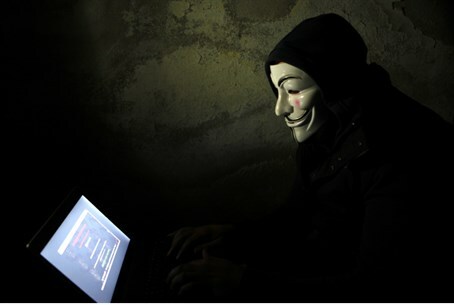 Both the inability of the #OpIsrael hackers to successfully attack any major Israeli websites, as well as the notably crude and unsophisticated nature of even their successful attacks this time, suggest once again that despite the grandiose statements and often well-produced propaganda videos issued prior to such anti-Israel hack-attacks, the hackers behind them tend to be fairly amateurish. In previous years they have often focused their efforts on vulnerable sites ranging from privately-owned blogs to charities for the disabled. Last year, an Israeli hacker managed to turn the tables on a group of hapless cyber attackers, exposing their identities online - together with passwords for their online accounts and even in some cases their pictures - using a Trojan Horse which took over their computers' webcams. Israelis security experts have warned however that cyber attacks are being increasingly used by terrorists and hostile states looking to attack Israel. The IDF and Israel Security Agency have both set up elite cyber defense units to combat the threat.